Issues, where settlement requires professionally qualified legal assistance, are common. Our Moscow law firm offers the full range of legal support services to both private clients and legal entities. Any issues that need to be settled in court must be entrusted to competent attorneys. This is how to save your time, nerves and, not least of all, your financial means. Legal advice. When is it necessary? In general, professional legal advice is needed to settle issues concerning legal transactions. We know that thousands of people every year face many legal barriers; some barriers often affect small aspects of immediate everyday life. People can call it bureaucracy and lose heart. However, there is a solution – experienced lawyers. 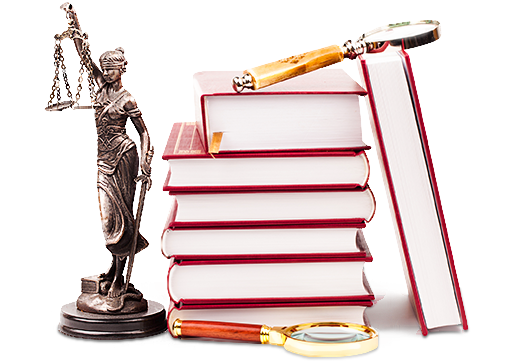 At “Advoca-T” firm, you may trust qualified specialists, who know their staff, to examine legal issues and to make the case in court. What is the cost of the legal advice? Our Moscow advocacy firm offers reasonable prices, considering the high expertise of our legal services. The cost of high quality legal service is adjusted for each individual case. Our law firm in Moscow will help you avoid needless expense for irrelevant services. Also the “Advoca-T” law firm in Moscow can offer deferred payments and can make it possible for both individuals and legal entities to access our services. Many persons seek a legal firm's assistance when there is no other way to resolve a conflict. In this situation, qualified expert legal advice will allow you to make the case in court, find proper solutions for the disputed issue, minimize your cash expenses, and save your time. Applying for our law company's assistance is a safe and simple decision, and a cost-effective solution. You may always count on our qualified expert legal assistance. The Moscow lawyer will discuss any point of your interest, prove your innocence, make your case in court and provide all the necessary information, including legal documentation, on the disputed situation's settlement. Our Moscow legal firm has been providing its service since 2009. We stand out among other advocacy companies because of our four year period of active work, thorough knowledge of Russian legislation with its peculiarities, and successful, efficient litigation strategies. We strive for best results! More than one hundred court victories are eloquent proof of this statement. Do you want to get the assistance of real experts? If so, the “Advoca-T” legal firm will certainly offer all you need. You are right and we’ll prove it following the letter of the law.